The Ferretti Group Superyacht Yard in Ancona announced the launch of the brand’s first super yacht over 300 GT. The magnificent Navetta 42 offers customization option for both the interiors and exteriors so that each owner can create their own dream boat. 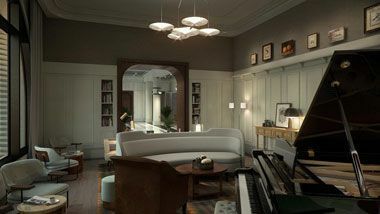 The Luxury Collection® Hotels & Resorts announced with its partner Flank, a New York City-based design and development firm, that Perry Lane Hotel, a Luxury Collection Hotel, Savannah is now open and accepting reservations. The first edition of International Luxury Travel Market (ILTM) Asia Pacific took place in Singapore (21 – 24 May), hosting 538 high-end travel agents, concierge companies and private travel designers from 16 countries across the Asia Pacific, 7 across Russia & CIS and 11 international countries. United Airlines customers, who purchase access, can now enter LAX through a gated private terminal, avoid all lines and traffic, and be driven across the tarmac directly to their aircraft. The 2018 Seven Stars Luxury Hospitality and Lifestyle Awards (SSLHLA) will be held in Crete on October 6th at the pristine OUT OF THE BLUE Capsis Elite Resort. This marks the very first time that an internationally acclaimed award ceremony will be held on the Island of Crete. From now until 30 June 2018, DFS Group, the world’s leading luxury traveler retailer, is absorbing duties and taxes on all wines, Sakes and Champagnes at Singapore Changi Airport. 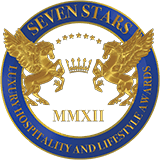 The nominees for the 2018 Seven Stars Luxury Hospitality and Lifestyle Awards are now live. Voting is now open as of today (April 6) and will close on June 3, 2018. The number of Brazilians with an excess of R$1million (US$300,000) in investments grew by over 17,000 in 2017, an increase of 5% year on year. In January 2018 alone, Brazilians spent $2 billion on trips abroad - 26.7% higher than in the same period of last year.